Cozy was my mantra this week as I started to update my house after the holiday decor came down. The polar vortex has luckily moved out but I know there are more frigid days ahead. 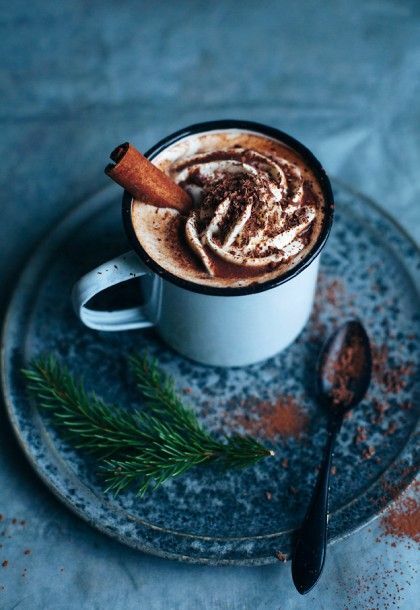 I’ll be ready to console myself with these 5 hot chocolate recipes. Dance makes me happy, whether I’m a spectator or participant, so this link of an older couple getting their groove on blew me away. They’re incredible! Trends vs. classics when it’s comes to fashion? I vote for classics with a splash of trend. My favorite pin of the week features a smorgasbord of classics to consider as you update your wardrobe for 2014. I’m a huge fan of the crock pot and recipes that don’t create a mess in the kitchen so I’ll definitely be trying out some of these healthy one-pot meal ideas. And there’s 25 to choose from! I wish I had started this next idea when my kids were little. It’s a birthday interview guide to ask your kids each year on their big day. It’s a great exercise to make sure you’re recording those precious little nuggets they come up with and you’re only doing it once a year. I was stalking Pinterest this week to get ideas for making my house feel warm and cozy. If you missed the post with my favorite ideas, you can read it here.